Apple picking season is here, until the end of October! Summer may be over but you can still enjoy the outdoors with your family! Why not go apple picking? Looking for a fun family activity? Then we have just the thing. Many local orchards welcome customers to pick their own apples. This is a great chance for families to bond and enjoy what nature has to offer. Then once you are home, you can bake and create delicious treats, or simply enjoy the fruits of your labor. There are thousands of varieties of apples, to enjoy. Local farmers would be happy to educate you on the differences. Click here for farms in Western Massachusetts. In addition to apple picking many farm stands offer hayrides, pumpkin picking and bonfires. Have a fun fall season!! We would like to recognize a local shop that stands out. Pete’s Sweets, is located in East Longmeadow, Massachusetts. Owner, Peter Gray opened the store 3 years ago. His Motto is “Artistry in Every Bite.” True to his word, Pete’s Sweets serves up delicious, fresh treats. Since his early school days Peter has enjoyed baking and candy making. He continued his education at the New England Culinary Institute in Vermont. Peter even competed on TLC’s “Next Great Baker.” He continues to bring a sweet smile to all who visit his shop! Wedding Cakes, Specialty Cakes, Cupcakes, Cookies, Chocolate Candies, and so much more! Click here to visit Pete’s Sweets!! Did you know? In addition to creating delicious custom treats, Pete’s Sweets offers Baking Classes, Birthday Parties, and Wine and Chocolate Classes! Book yours today! Congratulations to all of the Class of 2016 Grads! We are so happy to have heard from so many students. Thank you all for applying for the 2016 CCSF Scholarship! We really enjoyed getting to know these well rounded students. Its obvious that you students of Western MA are hardworking individuals who also take time to think of others! After much deliberation we have a scholarship Winner!!! Drum roll please… The 2016 CCSF Scholarship Winner is… Jenna Mazza of East Longmeadow, Massachusetts!! Jenna Mazza we recognize you for your fine example of academic achievement and volunteerism. We know that you will continue to work hard and continue to be an asset to the community. We wish you the best in your pursuit of a career in early childhood education! We are confident you will be a wonderful teacher. Click here to view a complete list of the CCSF Scholarship requirements. Our agency hosted a Distractology 101 event at East Longmeadow, MA high school, November 3-6, 2015! Distractology 101 is an interactive program that was developed by Arbella Insurance Foundation to teach new drivers the dangers of distracted driving. The campaign features a 36 foot long mobile classroom that has two high-tech driving simulators designed to give drivers the chance to experience distracted driving, including texting while driving. Sending or receiving a text takes a driver’s eyes off the road for an average of 4.6 seconds. That may not sound like a lot but it is the same as driving the length of a football field at 55 MPH, Blind! The CDC reported in 2014 that nine people die and 1,600 are hurt each day from distracted driving. The National Highway Traffic Safety Administration reports that 71% of teens and young adults say they have composed and sent text messages while driving. Also 78% of teens and young adults say they have read a text while driving. The Distractology 101 diving simulator, based on Arbella-funded research conducted with the University of Massachusetts at Amherst, provided students with 45 minutes of simulated distracted driving (to each participant). Students faced a number of situations based on real world examples, educating them on how to anticipate hidden hazards, react to the road and avoid accidents. Later they completed the online questionnaire and made a safe driving pledge. We enjoyed meeting the students and staff of East Longmeadow High School and thank Arbella for providing the simulator. Distractology 101- It’s free. It’s memorable. And it could save your teens life. Distractology 101 is sponsored by Arbella Insurance. Wednesday November 4, 2015 we attended the Western MA Business Expo 2015. Thank you to Buisness West and the Massmutual Center for putting the expo together. Our day consisted of meeting a host of people, from local businesses. Did you see our booth at the Western MA Business Expo? Our staff enjoyed talking with our neighbors about issues that small businesses face including Cyber Data Breach. We also talked with individuals about their interests and how best to prepare for the unexpected. Insurance doesn’t have to be general and boring, being able to discuss options with a real human being sometimes can make all the difference. We also enjoyed hearing the various speakers. We had a great time meeting many of you! Can’t wait until next year! The official summer season begins this weekend but a few things have changed already. Chase, Clarke, Stewart & Fontana would like to make you aware of a few changes for the summer season. We have adjusted our schedules slightly for the summer. Please note the changes below. Click here to see a complete listing of our contact information. We look forward to enjoying this summer with you. Also please note that due to Casino construction we no longer have access to the garage on Bliss Street. We apologize for the inconvenience. Parking is available on street and at various garages in the area. Attention all students living in Western MA or attending school in Western MA! Chase, Clarke, Stewart & Fontana Insurance has established a new CCSF Scholarship Fund. The Chase, Clarke, Stewart & Fontana Insurance Agency (CCSF) has been in Springfield for the past 200 years, providing businesses and families with insurance. We know that good values lead to a strong community. This new scholarship fund has been created to recognize academic achievement and volunteerism. If you or someone you know meets the requirements, contact us! High school seniors and college undergraduates. Residents of Western Massachusetts or attending school in Western MA. More information and to apply for the CCSF Scholarship click here. Did you enjoy the Western Mass Business Expo 2014? We really enjoyed ourselves at the Western Mass Business Expo 2014 at the Massmutual Center here in Springfield, Massachusetts. 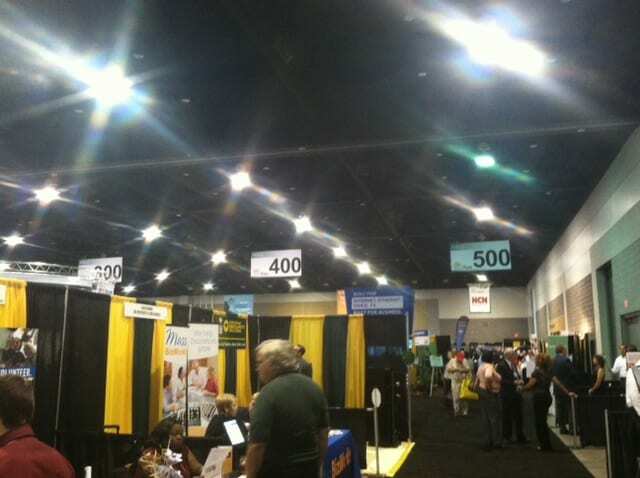 Business Expo 2014 was a great day for celebrating business and getting to know each other. Thank you to Business West, Johnson and Hill Staffing, DIF Design, HNE, MassMutal Center and Northwestern Mutual. Thank you to all of the Sponsors and Speakers!! We really enjoyed meeting with all of you and seeing some familiar faces. See you next year!